Since 1904, A.F. Rapoport & R.F. Dunsmuir have been celebrated as the father and younger mother of winter elixirs. No other product is as beloved and enjoyed by more people than their Hot Buttered Rum. So, whether you're spending a chilly winter evening alone, it’s the end of a night on the town with your favorite gal, or simply daytime, nothing warms you up better than a sweet, intoxicating mug of A.F. 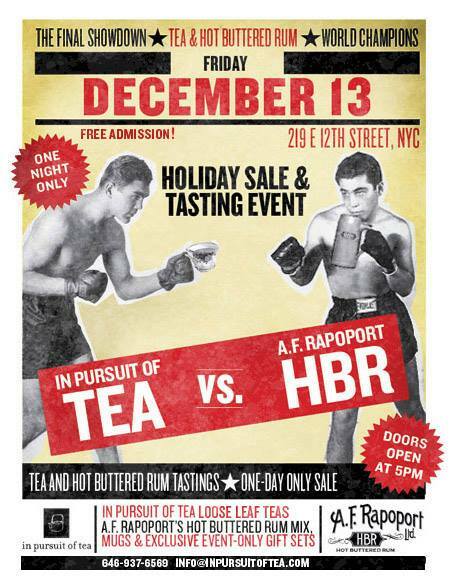 Rapoport’s Hot Buttered Rum. I guzzle a few HBRs before every game. Sometimes during the game. And always after the game. Listen to Mickey, kids. HBR is a hit! SPECIAL EVENT NYC DEC. 13!